Rady Children’s Institute for Genomic Medicine (RCIGM), located in San Diego, has announced a pioneering effort to deliver life-changing genetic diagnoses for children suffering from rare diseases. Led by president and CEO, Dr. Stephen Kingsmore, Rady is building an end-to-end clinical whole genome data analysis solution, built on the DNAnexus Platform, for children’s hospitals nationally. The impact of diagnosis by WGS is often life changing. The team routinely tests critically ill children for over 5,000 diseases, of which more than 500 have highly effective treatments. For example, if the test reveals a mutation in a gene involved in digestion, causing the inability to process a particular nutrient thereby leading to buildup of a poisonous byproduct, a simple change in diet can limit the effects of the disease. The sooner this condition can be diagnosed the less damage the child will suffer. In these cases, minutes literally matter. Dr. Kingsmore’s vision is to ensure genome-powered diagnosis is accessible to every child who needs it. Building a world-class pipeline at a single hospital isn’t enough. RCIGM needed a solution that could scale and be deployed at institutions around the world. DNAnexus provides the technology and expertise that allows RCIGM to grow an innovative pediatric-focused genomics network, distribute its clinical tools and collaborate with colleagues in a secure and compliant environment. This work was done as part of RCIGM’s collaboration with the The Newborn Sequencing In Genomic medicine and public HealTh (NSIGHT) program. NSIGHT addresses how genomic sequencing can replicate or augment known screening results for newborn disorders, what knowledge sequencing can provide for conditions not currently screened, and what additional clinical information could be learned from sequencing relevant to the clinical care of newborns. The NSIGHT program is funded by the Eunice Kennedy Shriver National Institute of Child Health and Human Development (NICHD) and the National Human Genome Research Institute (NHGRI), components of the National Institutes of Health. 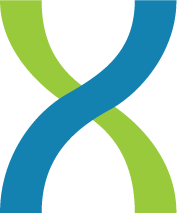 DNAnexus provides a flexible platform that connects Fabric Genomics’ interpretation software and integrates seamlessly with Rady Children’s custom data interpretation portal. Users monitor jobs, organize and share data, and compare patients’ data to a diagnostic resource within the network. At DNAnexus, we are proud to support Dr. Kingsmore and RCGIM’s endeavor to prevent, diagnose, and treat childhood diseases through genomics research.